Rumors that Google was starting a Facebook competitor named "Google Me" first surfaced in June, right after the latest wave of anti-Facebook furor. Clearly, there is an opportunity to challenge Facebook for the social networking title. If Google is in it to win it, however, the company has to do a few things that Facebook isn't doing--as well as a few things that Google has failed at in the past. Here's what we'd like to see in a next-gen social network. Google has made several attempts to break into the world of social networking, namely through the Orkut, Google Buzz, and Google Wave stand-alone services. Though these offerings haven't managed to reach critical mass, bits and pieces of them may find their way into a better Google network. While Orkut hasn't gained much traction in the United States, it has succeeded in other countries, most significantly India and Brazil. 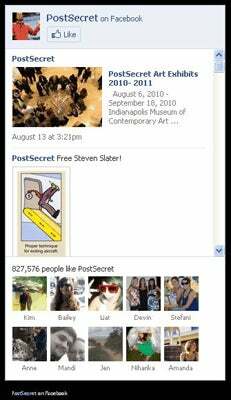 Part of that is due to Orkut's Promote feature, which lets users share videos and links--but unlike on Facebook, after you've promoted something on Orkut you can see how many people have clicked, viewed, or trashed your item. You can follow the path of your promotion to see how many of your friends have passed it on to other friends, and so on. Perhaps more important, you can also prevent one of your promotions from spreading after you've posted it. Though both Orkut and Facebook allow you to delete your shared items, Orkut's delete function is more robust; for instance, if you share a picture on Orkut and later decide to delete it after your friends share it with their friends, Orkut will delete the image from your account and theirs. Facebook, on the other hand, will not. Google Buzz may have failed to flourish for multiple reasons, but it remains an excellent example of how location data can be incorporated into a social network. If you use Buzz on your mobile phone, it constantly logs your location so that you can easily check out what topics other people around you are writing about, from popular restaurants to traffic jams. This works because Buzz is readily integrated with Google Maps, unlike Twitter (which posts your location only when you're publishing a tweet) and Foursquare (which is limited to check-in spots). Then there's the oft-maligned Google Wave, which allows users to create event invitations, working documents, brainstorming sheets, a to-do list, or any other type of communication. People have used it for everything from sharing class notes to hosting an online Dungeons & Dragons game. Regrettably, Wave expires at the end of 2010, having never caught on because no one really knew how they were supposed to use it. Its collaborative features, however, will likely be reincarnated in Google Me--as a more interesting version of Facebook's Wall and Messaging system, perhaps. Without a doubt, privacy has been the biggest problem that Facebook has faced in recent months. The more you post on Facebook, the easier it is to overshare with your boss, your family, or even complete strangers. If the new social network in town wants to beat Facebook, the upstart has to nail the privacy matter on the head. 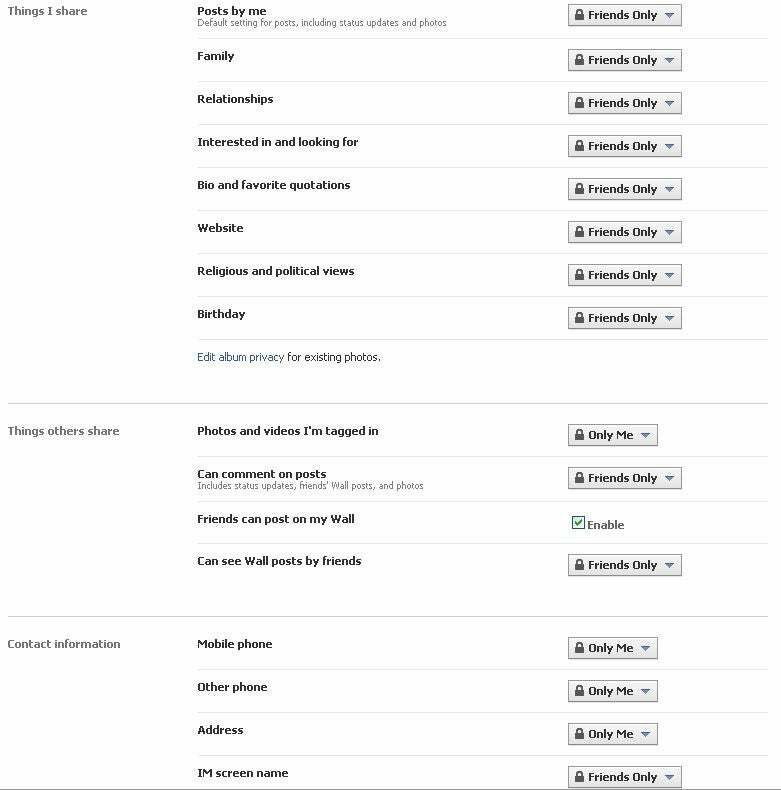 Toward that end, privacy management controls need to be easier to use for adjusting your profile and indicating who among your network can view it. Facebook currently has a complicated process that allows you to pick and choose exactly what information will be shared with people in your network. You can opt for items to be publicly displayed to 'Everyone', meaning that people who don't even have a Facebook account could access that information, or choose to make content available to 'Friends Only' or 'Just Me' to keep your profile a little more private. Though the compartmentalization aspect is ideal, changing your privacy settings is time consuming. Instead of automatically opting you in to a public profile that shares your info with 'Everyone', the default setting should be at 'Friends Only'. Even if you're vigilant about keeping your Facebook items strictly G-rated, however, you're still sharing that information with Facebook itself. And the presence of features such as Instant Personalization--which pools information from your Facebook page and incorporates it into other sites you visit--means that you don't know exactly who else knows what's in your profile. Though it's unreasonable to say that your social network shouldn't be allowed to make money from your data (the network is, after all, a business that's offering a free service), its sharing your data with other sites should definitely be an opt-in feature rather than an opt-out one (which is how the setup works on Facebook). Things get even more complicated when you add third-party apps to your social network. Such apps often have separate terms of service, and no one really knows what they do with a user's information once that person adds the application to their page. Ideally, when it comes to user data, an app would be held to the same privacy standards as the social network itself is--and users could even elect to block their info from showing up on the app's radar. If you don't want your social networking service to access your information at all, you might want to look to an open-source alternative, such as the Diaspora project due to launch this fall. Though details are scarce, we do know that the Diaspora software will let users set up their own personal server (called a seed) where they have complete control over what information they make widely available. Because the software is on an independent server, Diaspora will not be able to distribute your profile information to outside sites and advertisers. Your data will be shared with the friends that you choose to share it with, and no one else. The creators believe that getting users' information out of the cloud is the key to privacy, and their goal is to accomplish this without sacrificing users' personal privacy.